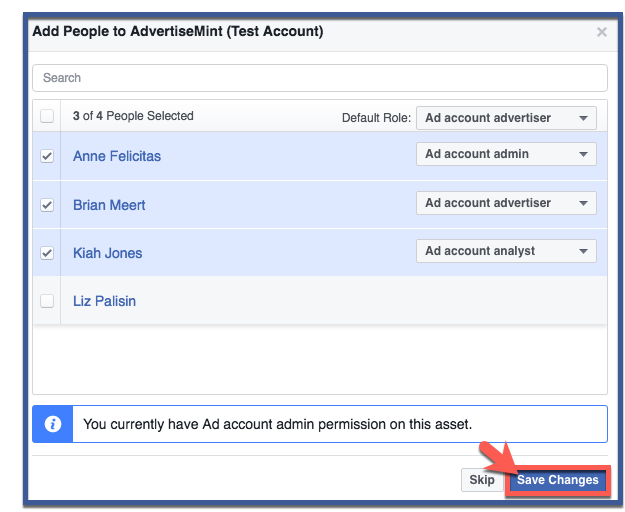 Follow the steps below to create a new Facebook ad account in Business Manager. To begin, click “Add New,” the green button located on the upper right side of your screen. 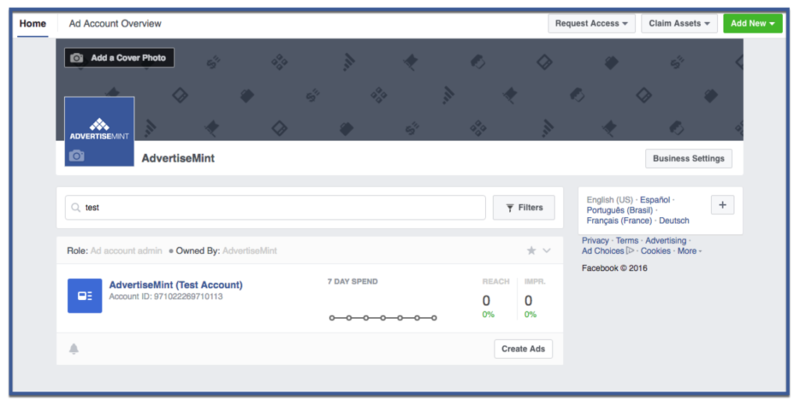 When the drop-down menu appears, click “Ad Accounts“. To create a new ad account, answer the required fields below. 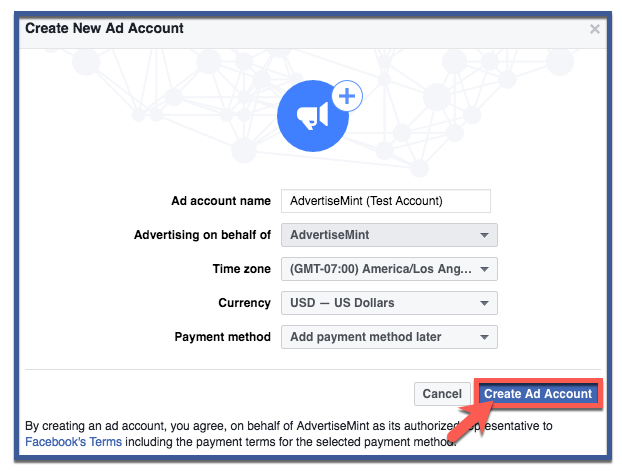 You will need to create an ad account name (most ad account names are the names of clients’ businesses), include a partner who will advertise on your behalf, your time zone, currency, and payment method. Afterward, click “Create Ad Account“. Facebook will then allow you to give people access to your account. When selecting people, you can also assign roles. Because this step is optional, you can choose to skip. Otherwise, choose who you want to have access then click “Save Changes“. You new ad account will appear here.